Welcome, ladies and gentlemen. Please step inside. A dark and stormy night may seem ill-suited to an art tour … at least until you see the unsettling works we have in store for you. 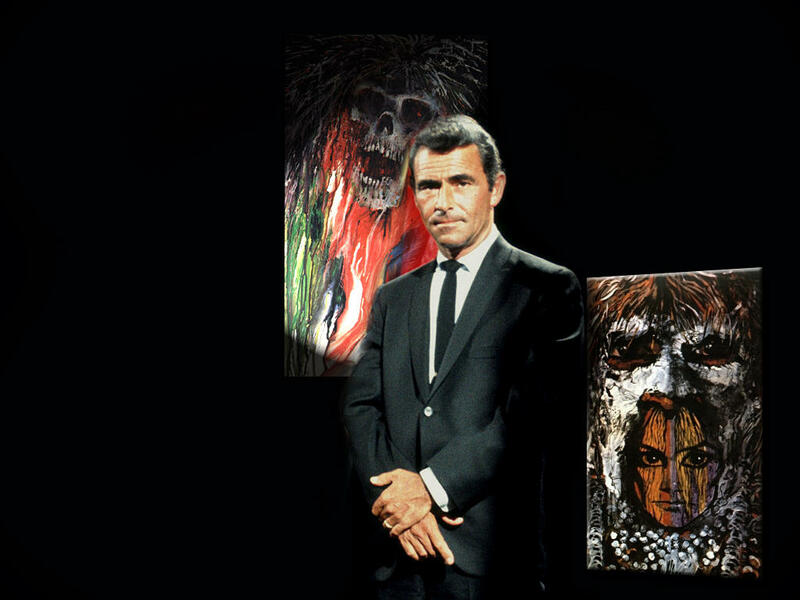 As our founder, Rod Serling, once said, “You won’t find the works of the masters here, because in this particular salon we choose our paintings with an eye more towards terror than technique.” Our paintings and sculptures have an unmistakably sinister edge. I know our museum is more shadow-laden than most, but don’t worry. You should be quite safe. We haven’t lost anyone yet. Well, almost no one. Those who survived … er, enjoyed our first tour, our second tour, and even our third tour, simply raved. And the doctors at the sanitarium assure us that they’re progressing quite nicely. In his last interview, Rod Serling said he wanted to be remembered simply as a “writer.” There’s little doubt that he achieved that. Countless authors cite him as one of their primary influences. Yet nearly all of his fans experience his words via a TV screen, not the printed page. How many of us have enjoyed a book by Serling? True, that wasn’t his typical medium. He was famous for dictating scripts in a hurry by the poolside, not fiddling with some florid prose in a quiet study. Small wonder that the few books he did author were out of print for years. Come in, everyone. Glad you could make it. Ready to see some lovely, flower-filled meadows? Contemplate a few peaceful, rustic landscapes? Sorry to hear that. Because you’ve entered … the Night Gallery. 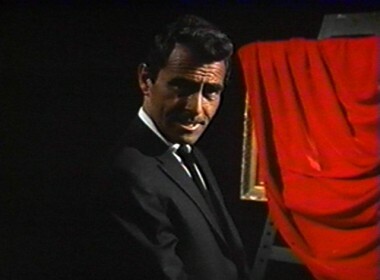 As founder Rod Serling once said, “In this particular salon, we choose our paintings with an eye more towards terror than technique.” That explains the dark, dusty halls. The chilly drafts that whistle down the corridors. The long shadows that offer numerous hiding places for … well, let’s get started. The night won’t last forever. Perhaps you joined us on our first tour of the Night Gallery. You may have even tagged along for round two. If so, I can understand why you’re glancing around nervously. But remember, fright doesn’t always take a familiar form. Tonight’s selections prove that there is as much to dread in the brightest day as in the darkest night. Space travel, as any Twilight Zone fan can tell you, obviously held keen interest for Rod Serling. Stories about what would happen if we went Up There, or aliens came Down Here, cropped up throughout the entire run of the hit series. 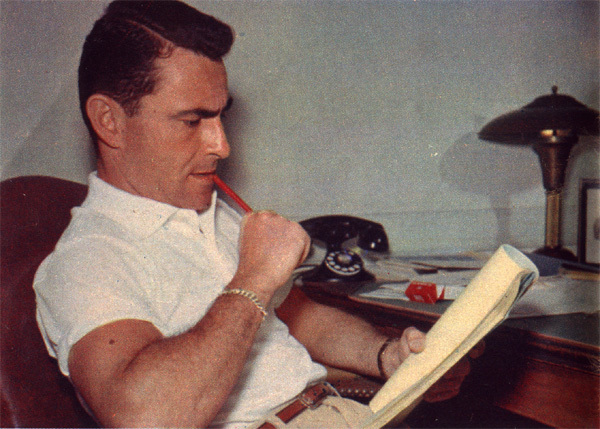 Tantalizingly enough, Serling’s plans for Season 6 pointedly mentioned his interest in featuring more outer-space tales. Alas, it was never to be. 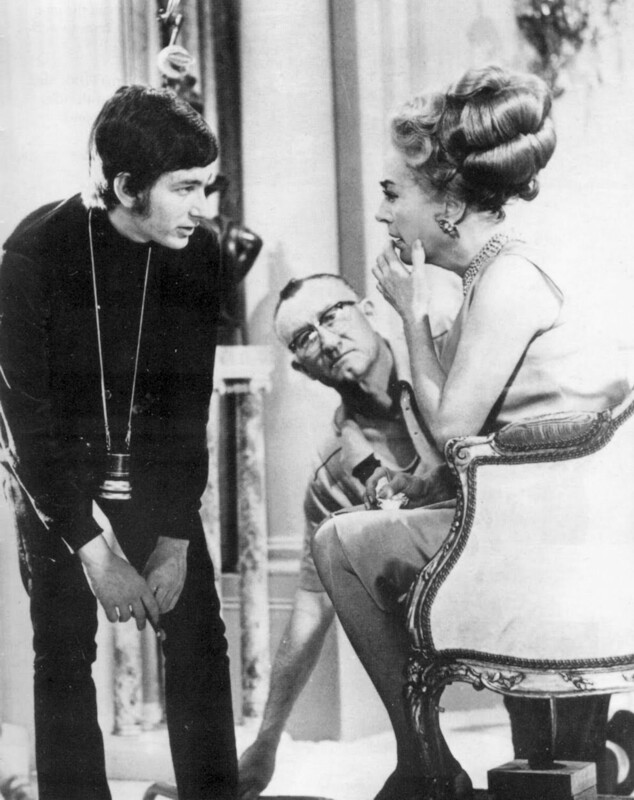 And by the time man landed on the moon in 1969, Serling was focused on bringing a trilogy of horror stories to TV. 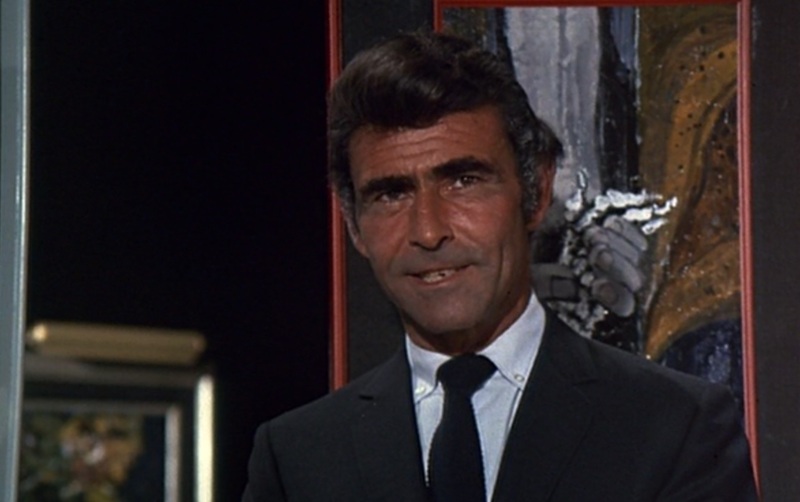 Only one teleplay in the entire run of “Rod Serling’s Night Gallery” dealt with space travel. When the sad news of Leonard Nimoy’s death broke last week, images of Spock were everywhere. And why not? 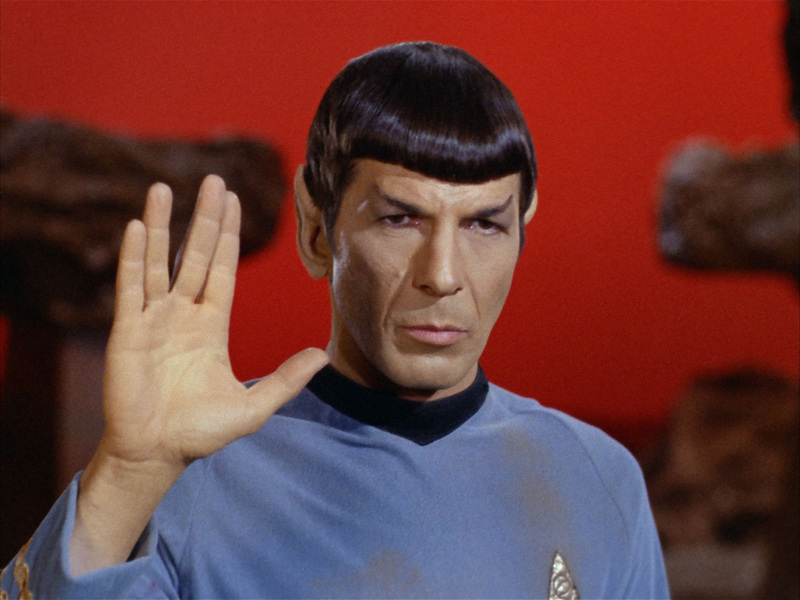 Everybody’s favorite Vulcan is one of the most beloved characters in television history. 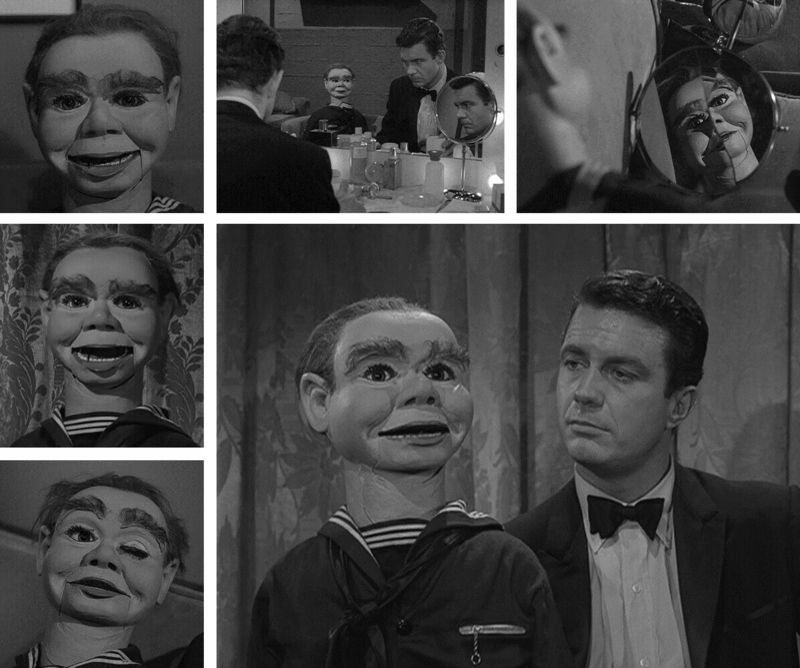 But as the custodian of “Shadow & Substance,” I couldn’t help but think of Nimoy’s work in the Serling-verse. There wasn’t much, alas. The Twilight Zone preceded his break-out role in Star Trek by a few years. But if you’ve ever seen the Season 3 war-themed episode “A Quality of Mercy,” you may have recognized the actor playing Hansen, one of the American soldiers. An art gallery may strike you as an odd place to spend Halloween … at least, until you see the paintings hanging in the Night Gallery. Most museums turn up the lights so you can see the paintings in detail. But once you see the canvases on display here, I think you’ll be grateful for the many shadows that line the hallways. Want to see a good scary movie? Skip the multiplex. I have something better. Spend the evening with some dolls. Before you chuckle TOO loudly, perhaps I’d better introduce them. You really don’t want them to hear you. First up is Willie. Yes, a ventriloquist … well, I hesitate to say “dummy,” but that’s what these wooden sidekicks are usually called. He’s been known to resist whenever his owner suggests changes to the act. How can a stick of wood object, you ask? Oh, he has ways. And they don’t end well for people who oppose him. Just ask Goofy Goggles. Not that he can give you much of an answer. Goofy’s part of the pavement now, thanks to Willie’s little games. 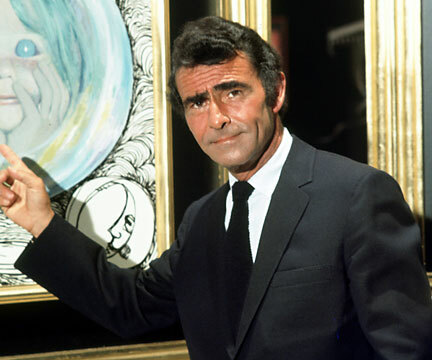 It’s been 40 years since the last painting was hung in the darkened display known as Rod Serling’s Night Gallery. But for those who enjoy a good campfire story — something light on gore and heavy on shivers — the doors have never closed. The cobwebbed corridors still beckon. But be careful. You never know who might be looking over your shoulder. 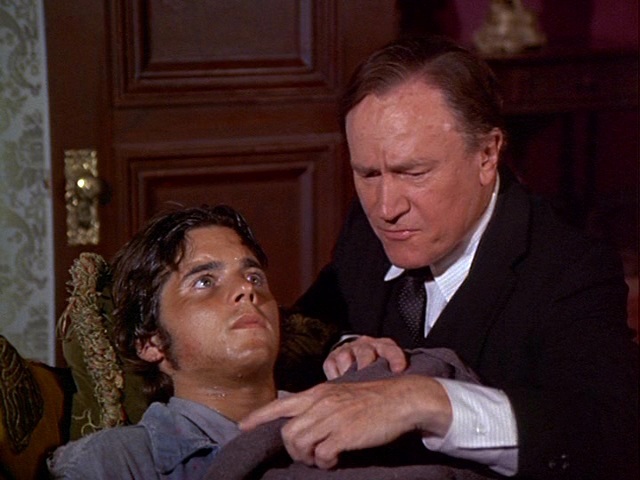 On Sept. 22, 1971, NBC aired the second episode of Night Gallery’s second season. It was a strong hour for the series, anchored by two very effective tales scripted by Rod Serling: “A Death in the Family” with E.G. Marshall, and “Class of ’99” with Vincent Price. Each deserves its own blog post, so I’ll use this one to highlight a particular aspect of the Marshall segment. If you haven’t watched it before, try the link below. And if you want to avoid spoilers, stop here, and then come back when you’re done.